George Kuepper was Horticulture Manager at the Kerr Center for Sustainable Agriculture from 2008 through his retirement earlier this year. George grew up on a small dairy farm outside of Milwaukee, Wisconsin. He earned a Bachelor’s Degree in Geography and a Master’s in Agronomy from the University of Wisconsin at Madison. 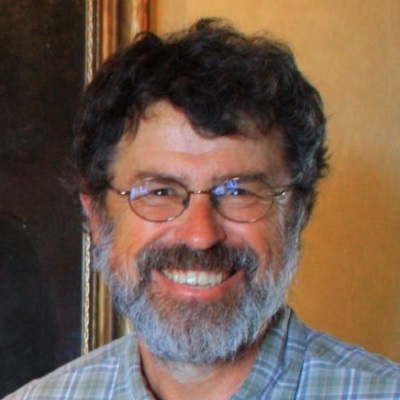 He first joined the Kerr Center in the late 1980s, but moved on to develop a career, mostly in the non-profit sector, as a researcher, educator, producer, and consultant. During this period, he worked for NCAT (the National Center for Appropriate Technology) on the ATTRA Project, and served as NCAT’s Midwest Office Director in Lewis, Iowa. There he focused on organic agriculture, specializing in compliance, certification, and transition issues. When George returned to the Kerr Center in 2008, he began directing the development of the Kerr Center’s organic horticulture program, the Cannon Horticulture Project. This involved the conversion of former bermudagrass pasture to organic vegetable production – an accomplishment that drew no small amount of notice from the regional organic community. 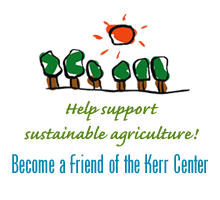 It also established the Kerr Center as the only certified organic non-profit demonstration farm in Oklahoma. George also managed the center’s horticulture interns, taught in the Beginning Farmer and Rancher program, and conducted a series of heirloom vegetable variety trials. His Kerr Center publications include Heirloom Vegetables, Genetic Diversity, and the Pursuit of Food Security (along with an accompanying series of reports on variety trials of various heirloom crops); A Brief Overview of the History and Philosophy of Organic Agriculture; Small Scale Organics: A Guidebook for the Non-certified Organic Grower; Farm Made: A Guide to On-Farm Processing for Organic Producers; Market Farming with Rotations and Cover Crops: An Organic Bio-Extensive System; Cover Crops as Beneficial Insect Habitats; and Sweet Sorghum: Production and Processing. George now makes his home in Fayetteville, Arkansas, where he lives with his wife, Dee, and an ever-changing number of pets. All the best on your retirement! You’ve been an inspiration to us all who work with horticultural food crops. I’d appreciate being able to “Bend your Ear” on a few things in the future. Congratulations on your retirement. I hope you will have a long and fruitful time. Enjoy!! George: I have many fond memories working with you. I just retired myself and actually have time to work in my own garden. Your work and passion have been contagious. Thank you for being such a wonderful “teacher”. Happy retirement my friend and may you enjoy life always.